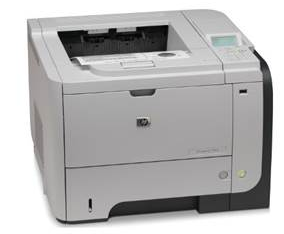 The HP LaserJet 3015 received the BLI Fall 2009 Pick for Outstanding Small Workgroup Monochrome Printer. Documents are delivered in crisp resolution 1200 x 1200 dpi at a speed of 42 pages per minute. With a high monthly duty cycle of 100,000 impressions, the LaserJet P3015 enables high-volume printing. With the LaserJet 3015s, you can easily complete various projects to process labels, envelopes, transparencies, cards, and paper sizes up to legal size. The adjustable tray can hold 500 sheets and the multi-purpose tray handles 100 sheets. To further increase the paper capacity on the LaserJet 3015, add the additional 500-sheet drawer.